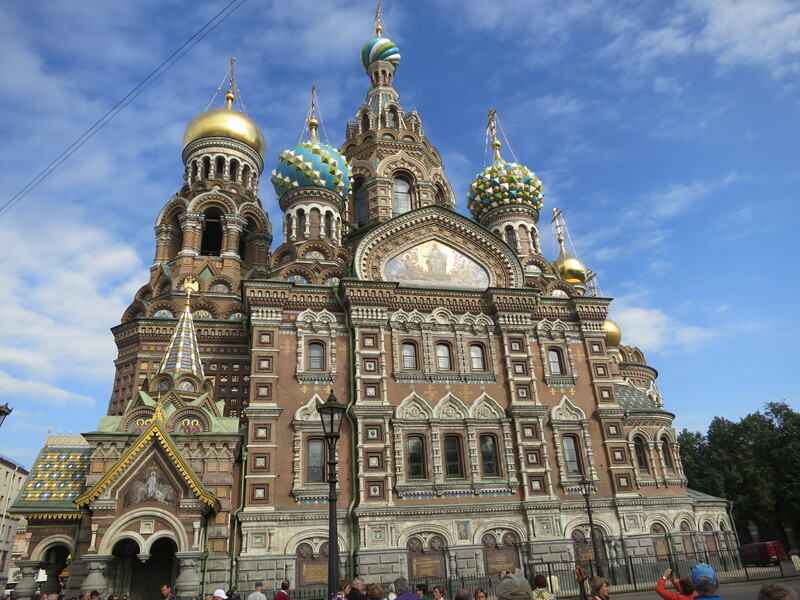 One of the main reasons we chose to embark on a nine night Baltic capitals cruise was to take advantage of the opportunity to visit Russia. 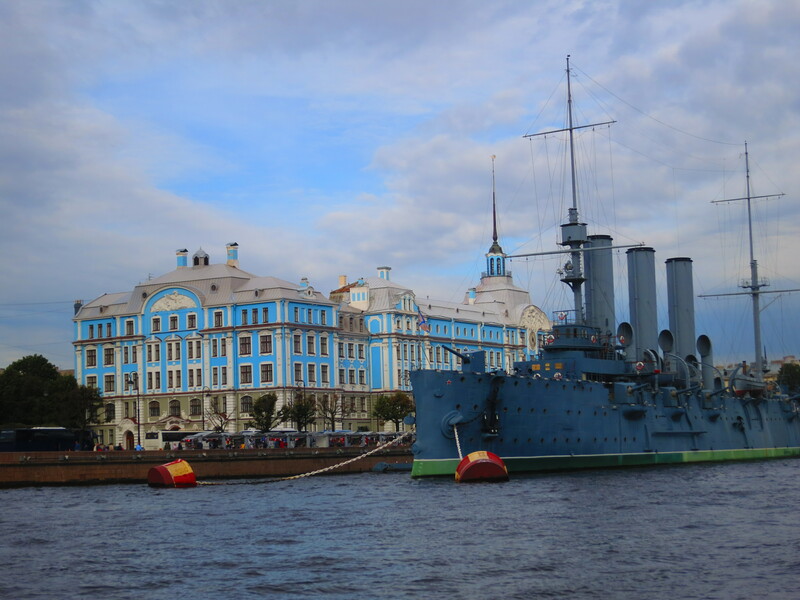 Obtaining a Russian tourist visa on your own is actually quite difficult, so we decided to make it easy on ourselves and book shore excursions organized by Norwegian Cruise Line for our two days in the old Russian Capital of St. Petersburg. 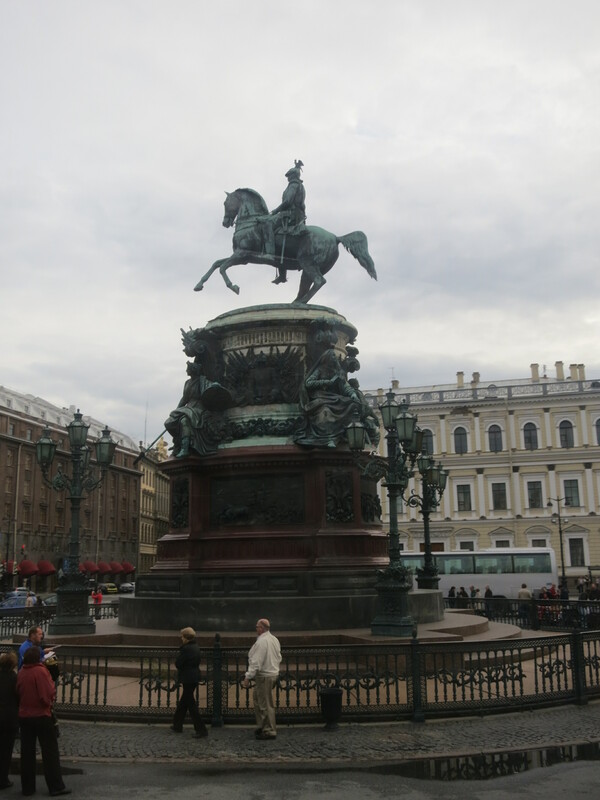 Immediately upon arriving in St. Petersburg we started to hear talk of Peter the Great. He is the founder of the city which he modeled off other European cities like Amsterdam. Because of this, it doesn’t have a lot of traditional Russian architecture, and instead has several canals, fountains and brightly colored buildings reminiscent of old cities in Western Europe. We learned so much in our two days and only wish we would have had some time to explore it on our own. Originally called St. Petersburg (after Saint Peter, not the Russian Czar Peter the Great), this city has been known by a few different names. It was called Petrograd for about ten years in the early 1900’s, until the name changed to Leningrad when Russia became the U.S.S.R. and was ruled by the Bolsheviks. It stayed Leningrad until 1991 when the local government finally decided to let the people decide on the name. Apparently there was some surprise that the people voted for the name to be changed back to St. Petersburg. Our tour guide quipped that her grandmother was born in St. Petersburg, lived in Petrograd, also lived in Leningrad and died in St. Petersburg and she never even moved homes! Our first day began with a river cruise through the center of the city. 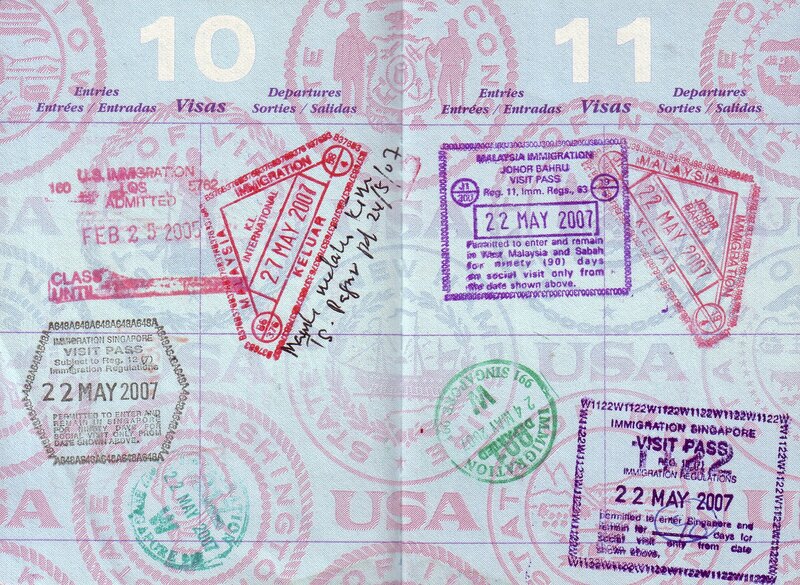 Everywhere you turn there is another museum, cathedral, park or historical monument. Most notably is the Hermitage, the largest art museum in the world with over three million pieces of art. We would have loved to see it, but each excursion included a visit allotted 4-8 hours inside, and that is just a bit too much art for us. The museum was originally built for the nobility, but has become public over the years. It is housed in the Winter Palace, and its surrounding buildings where the Romanovs as well as other nobility used to reside. It is said to be impossible to see it all in two days, but we met several art enthusiasts who were willing to give it a try. Entrance to the subway. We were actually allowed to take pictures of this! We did not go to the Hermitage, but after visiting other landmark institutions we discovered that they are very particular about people taking photographs here. 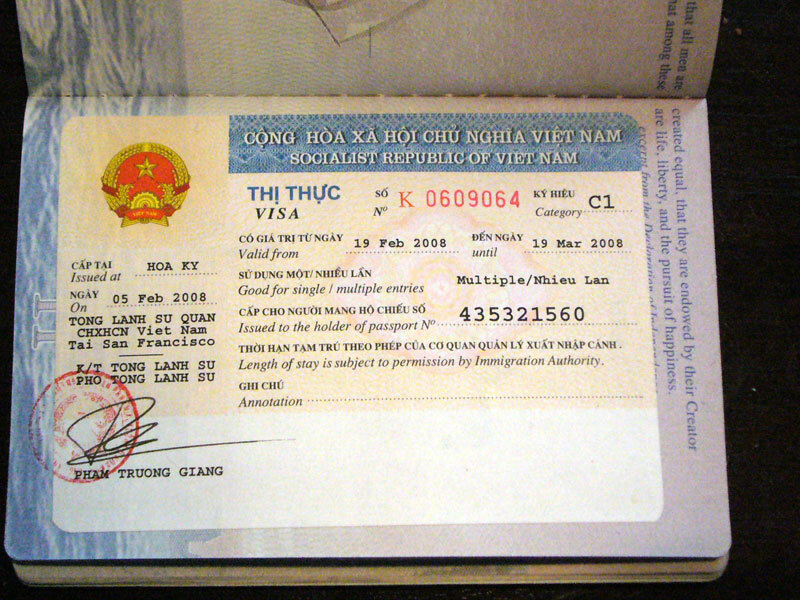 All of the museums charge tourists an additional fee to take pictures – once you have paid they give a colored sticker to place on your camera, otherwise you are liable to get fined or have your camera taken. The policy is even more strict on the subway – here, photos are not permitted in any of the stations! You can take them on the train, but none on the platform or in the buildings. This is such a shame, because their subway stations are absolutely beautiful. They are artfully designed, with huge marble columns and detailed decorations along the ceilings. It reminded us a lot of the beauty of Grand Central Station in New York City. There is even a large sculpture of Peter the Great which is set up like an art exhibit, blocked off by a velvet rope. Phil and I couldn’t help but think that this would last all of two hours (tops) in a New York subway without being vandalized and ultimately destroyed. Probably the most iconic place we visited taught us an important lesson: It is very dangerous to be a czar. Sure, there is something appealing about the idea of being the leader: you get to rule the country, you have power and money and influence, but I don’t think it is worth it. Every other story we heard was about the killing of one czar or the brutal murder of another. 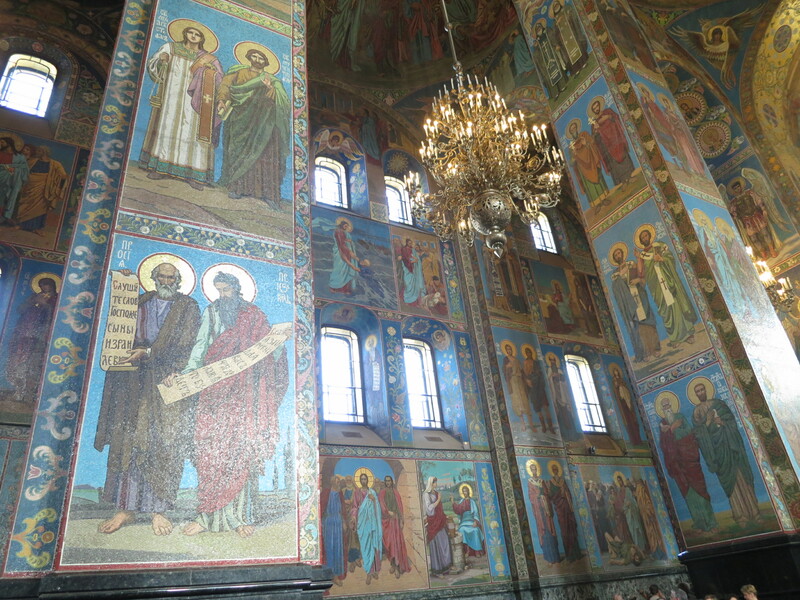 One of the most notable stories is the centerpiece for the Spilled Blood Cathedral. 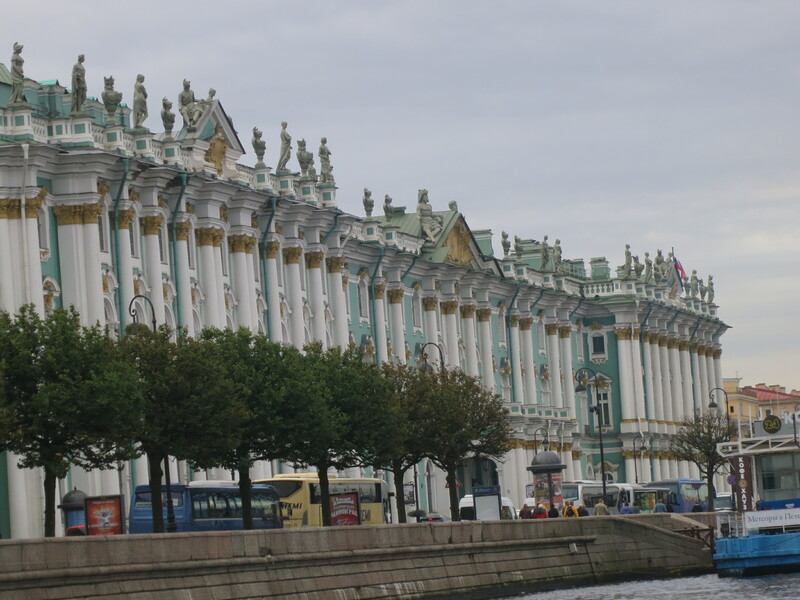 Among a small number of buildings in St. Petersburg to look “Russian”, it was constructed on the site where Czar Alexander II was assassinated. Inside the cathedral, visitors can see a memorial directly above the spot where his blood was spilled–hence the colloquial name Spilled Blood Cathedral. The building itself is magnificent. It’s walls are lined with painstakingly detailed mosaics telling the stories from the Bible. In fact, this cathedral holds the largest square footage of mosaic art in the world. There was a notable absence of pews and when we inquired we were informed that parishioners are expected to stand or bow on their knees throughout the length of the service. Thanks, but I think I’ll pass. Besides the plethora of cathedrals, museums and stories about Peter the Great, one of the most prominent topics of discussion was the weather. It is drab, dreary and depressing much of the year. Both of our tour guides emphasized the fact that St. Petersburg is on the same parallel as Anchorage, Alaska. Of course, it gets extremely cold and snowy, but even worse than that, they have less than 55 days of sunshine per year. Yikes! In the winter there is very little daylight, therefore finding distraction is important for the local people. Stereotype or not, drinking vodka seems to be the favorite distraction of most of the people here, and we got to experience it first hand. 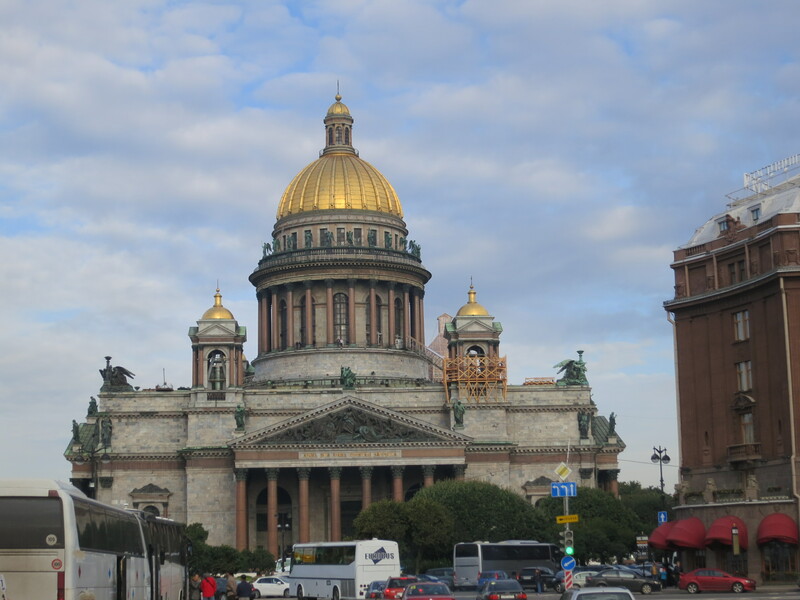 Our shore excursion on the second day in St. Petersburg was called “St. 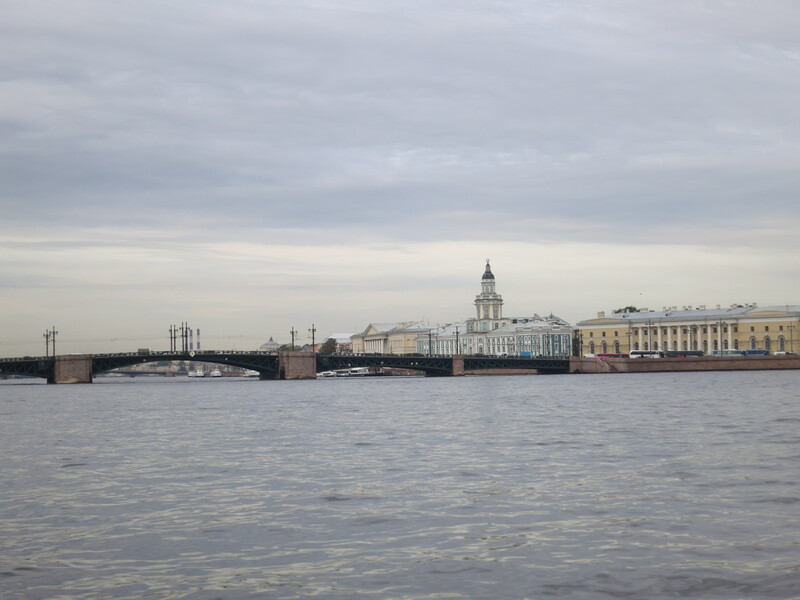 Petersburg through the eyes of the locals.” So, we did what locals do–we shopped at a mall, went to the farmer’s market to sample pickles and cottage cheese, and rode the subway. 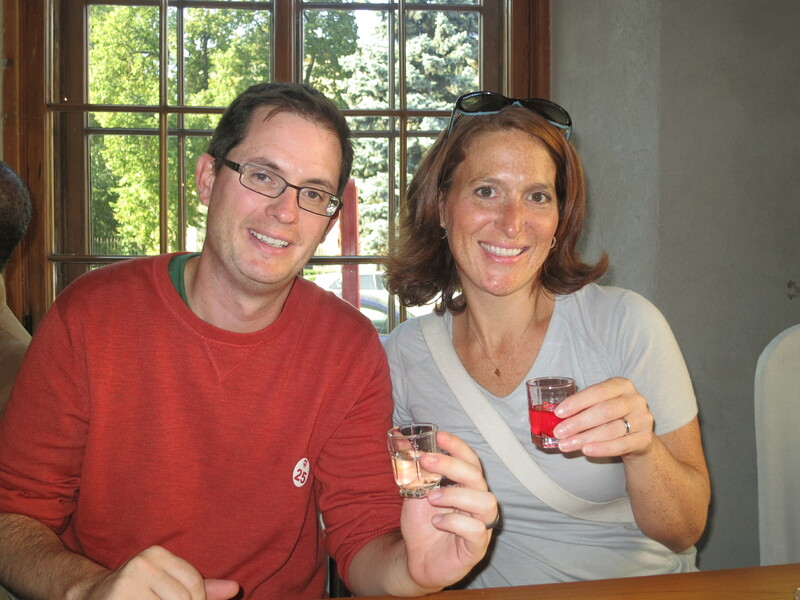 However, the most distinctly local thing we did was have a vodka tasting. That’s right! At the end of our tour, we went to restaurant where three shots of vodka were set up for each of us. There were three different kinds–horseradish, walnut, and cranberry vodka. They also set out some small pieces of toast and pickles to help wash it down. We had about 30 minutes to down all 3 shots, which was not a problem for most of us. However, it became apparent pretty quickly that some of the people in our group hadn’t done a shot of liquor in a while (not to mention three). The vodka was decent, I personally liked the walnut flavored one the best. However, what surprised us most is that there was no water on the table. No soda, no juice, nothing to wash the vodka down. This is so much different than it would have been at a tasting in America with all of its rules and regulations. Once 15 minutes had passed, most of the shots were gone and the stacking (and crashing) of shot glasses began. The crowd was certainly livelier after the shots, feeling warmer in both body and spirit, and we all understood the important role vodka plays in a country that can have such depressing weather! All in all, St. Petersburg was a blast. 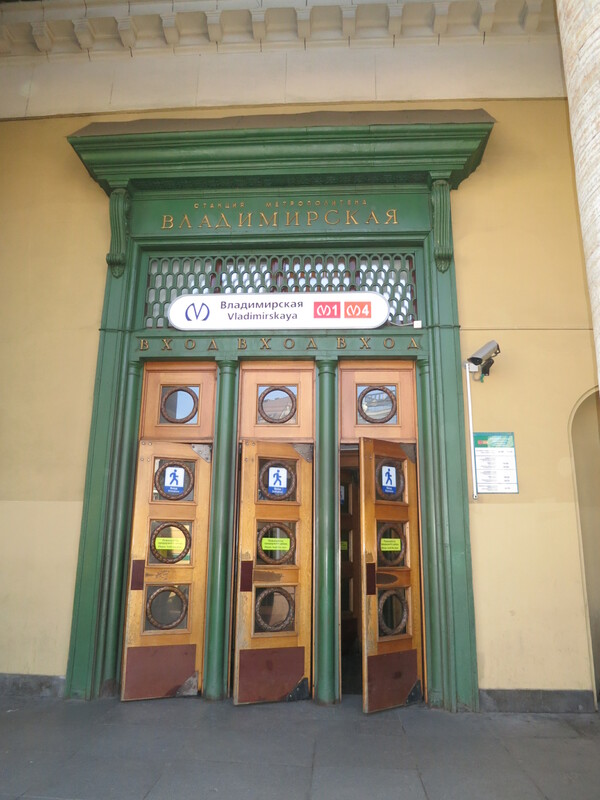 We especially loved getting to see the magnificent subway system and learning a bit more about Russian history than we knew before. I’ll leave you with one more interesting note. One of the men on our tour asked the guide if Russia is a democracy. She said, “We are supposed to be a democracy, but are we? I don’t know.” She continued to talk about Vladimir Putin and extended term limits with cynicism and candor. It definitely showed us that perhaps the country has not progressed as far as Russia would have the world believe. 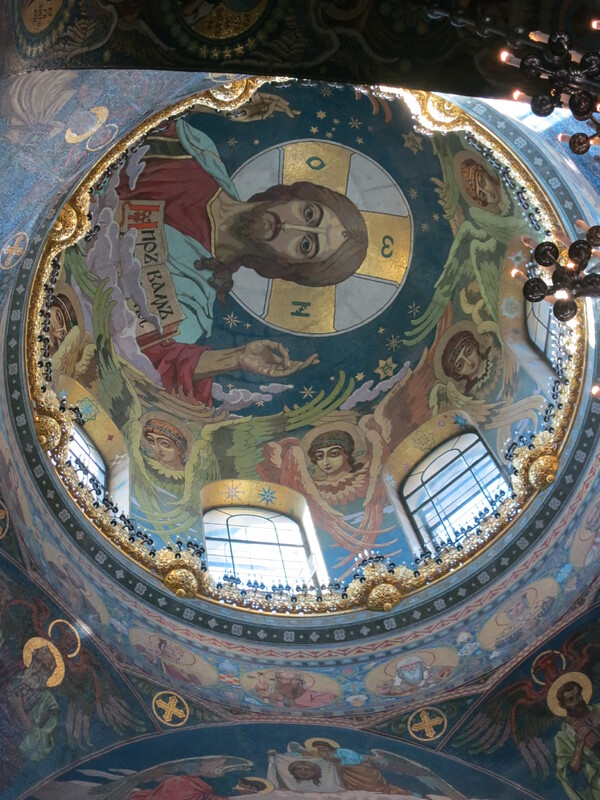 This is the ceiling of the Spilled Blood Cathedral. There was very little space on the interior walls which was not covered with some colorful artwork. Here’s a sampling of the mosaics which cover the walls and account for the largest square footage of mosaic art in a single building in the world. The bronze equestrian of Nicholas I s unique because it is the first horse statue in Europe to have only two support points, its rear hooves. Impressive? Apparently. 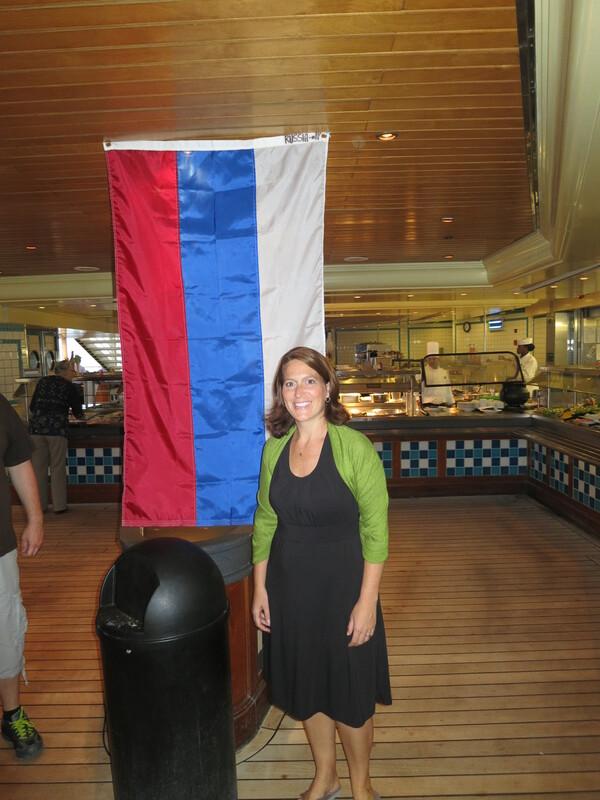 To celebrate St. Petersburg, the cruise ship hosted a “Taste of Russia” complete with borscht and stuffed cabbage.